Collection of Milk shake recipes - Milk shake is a very simple and healthy drink which can be consumed in the morning during breakfast or in the evening after school or office. 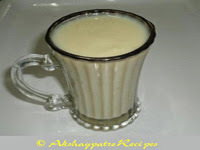 Milk is an essential food and those who do not like to drink plain milk can use this delicious milk shake. It can be prepared very quickly, if you have boiled cold milk in the kitchen. 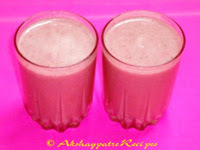 Milk shake can be made using fruits and dry fruits like mango, custard apple, strawberry, apple, chikoo, banana and dates. 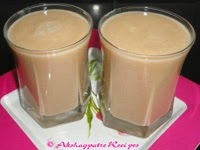 Khajoor milkshake - Dates milk shake which is rich in protein, iron and is excellent for growing kids. Dates itself is very sweet, and no sugar is added in this drink. Do try this milkshake to treat your family and friends. 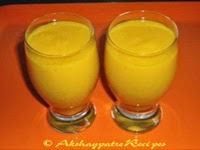 Banana mango milkshake - Absolutely a power punch drink for active persons as it provides energy and nutrition. This milkshake can be a substitute for breakfast. If you do not find time to prepare breakfast, prepare this quick milkshake, drink it and stay energetic till lunch. 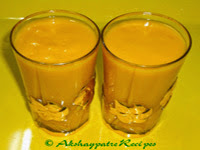 Mango milkshake - This delicious shake is made with milk, mango and sugar. It is totally healthy and guilt free drink which can be enjoyed at anytime of the day. It provides energy as the milk contains proteins and mango contains vitamins, minerals and carbohydrates. 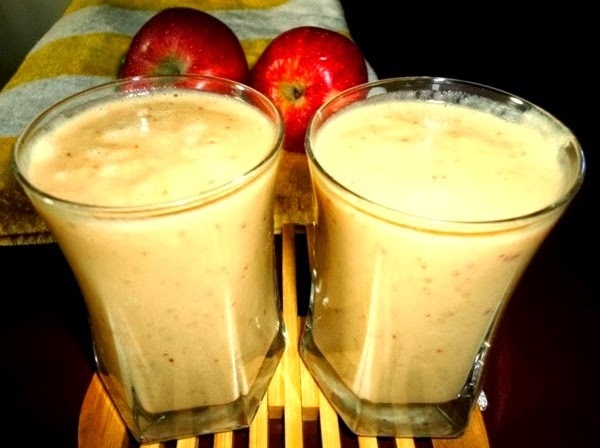 Chikoo milkshake - This is the most easiest and filling drink that you can blend within two minutes This is absolutely a delicious drink that you can enjoy at any time. It is a very sweet fruit that even you don't need to add sugar to the milkshake. 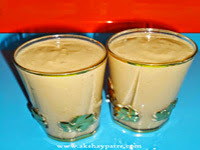 Try out this chikoo milkshake and enjoy. 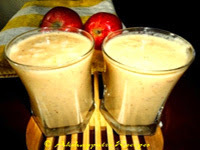 Apple milkshake - Apple is antioxidant and packed with vitamins and minerals. You can make it more healthier by using honey instead of sugar. 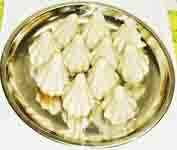 Even it can be served at room temperature during winter season. During summer you can also add one scoop of your favorite ice cream. Strawberry milkshake - Strawberry milkshake is a healthy, delicious and filling drink that can be made in a jiffy. You can make it more healthier by using honey instead of sugar. Also check some other interesting drink recipes in this space.